The jury heard DNA analysts give evidence in the murder trial yesterday. A DNA ANALYST testified yesterday that Jason Corbett’s DNA was found on several pieces of evidence. Wendell Ivory, a DNA analyst with the state crime lab, testified that he received the aluminum bat, the cement paver and hairs from the cement paver. He also received Thomas Martens’ red polo and boxers and Molly Corbett’s pyjamas, which were items of clothing worn on the night of the incident. Ivory said he conclusively found Jason Corbett’s DNA on all the items except for one of the hairs. Molly Corbett and her father, Thomas Michael Martens, are each charged with second-degree murder in Jason Corbett’s death. They claim Jason Corbett was choking Molly Corbett and threatening to kill her, and they acted in self-defence. Investigators have cast doubt on that defence. Authorities say Jason Corbett was planning to leave Molly Corbett – his second wife and former nanny to his children – and return to his home country of Ireland. Melanie Carson, a forensic hair analyst with the state crime lab, testified that she observed two hairs on the end of the aluminum bat and 25 hairs on the cement paver. She also received hair samples from Molly Corbett, Martens and Jason Corbett to test against the hairs found on the bat and cement paver. Carson clarified that her tests do not positively identify the owner of a hair. Instead, they can only conclude scientific possibilities. Carson testified that one hair on the bat could have been Jason Corbett’s hair. The other hair on the bat had similarities, but slight differences to Jason Corbett’s hair, so no conclusion could be made. The hair analyst said 12 hairs on the cement paver could have been Jason Corbett’s hair. Three hairs on the cement paver had similarities, but slight differences to Jason Corbett’s hair, so no conclusion could be made. One hair on the cement paver had similarities, but slight differences to Molly Corbett’s hair, so no conclusion could be made. Adrianne Reeve, a fingerprint analyst, testified that she found no fingerprints on the aluminum bat. Reeve later said the cement paver has a lot of texture, which would make it difficult to lift prints. Earlier in the day, Frank Young, an officer with the Davidson County Sherriff’s Office, testified that he took a photo showing strands of blond hair intertwined in the right hand of Jason Corbett. The photo was shown to the jury on multiple occasions. Dr Craig Nelson, the pathologist who performed the autopsy, and paramedics at the scene previously testified that they had not seen any blond hairs. Young testified that he did not know the source of the blond hairs. During his opening statements on 25 July, defence lawyer Walter Holton emphasised pictures, including a picture of Jason Corbett allegedly clutching blond hair in his hand. Holton also wondered what happened to the hair and questioned why it wasn’t entered as evidence. Nelson testified earlier that he was not asked to test finger nail clippings from Jason Corbett during the autopsy. He also testified that the body bag had “an abundant amount” of blood in it, which could wash away an object. Yesterday, Holton asked Young several questions about his knowledge with strangulation cases. Davidson County Assistant District Attorney Greg Brown also inquired about the motivation behind bagging hands. Young testified that he took photos of Molly Corbett that showed blood on her hairline, cheek, browline and behind her ear. The officer said it appeared to be dry blood, but added that it was not tested or entered into evidence. Jason Corbett died on 2 August 2015. Davidson County Sheriff’s Office deputies responded to a report that day of an assault at the Corbetts’ home at Panther Creek Court in Wallburg. Martens, a 67-year-old retired FBI agent who was visiting the Corbetts with his wife, told authorities he was awakened by an argument between his daughter and son-in-law and went to their bedroom with a baseball bat, where he found Jason Corbett attacking his daughter. Comments are closed as the trial continues. Email “Jason Corbett trial: No fingerprints found on baseball bat, court hears”. 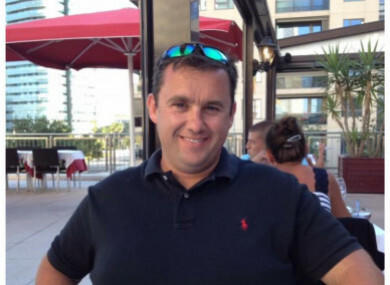 Feedback on “Jason Corbett trial: No fingerprints found on baseball bat, court hears”.